Have you ever planned a wonderful event that turned into a disaster? That is why you should verify. Here is my story of how I learned the hard way. How many meals have you eaten? I have eaten over 87,000 meals, but I don t remember very many. How about you? The formula to calculate the number of meals you have eaten is simple . Meals per day (3) x days per year (365) x your age in years (??) = meals you have eaten. Now you know how many you have eaten. How many do you remember? One meal really stands out in my memory. My wife, Oleta and I were on a six-week motorhome sightseeing tour through the Southwest in 2006. We stopped in Las Cruces, New Mexico for the Annual Mesilla Valley Balloon Rally. The day before the rally we visited the historic oldtown, La Mesilla. At the time,I did not think I liked Mexican food. However, the travel guides rated La Posta so highly, we decided to take a chance. Wow! I will never forget that meal! The atmosphere was attractive, interesting and entertaining. The staff was thoroughly trained, knowledgeable and attentive and made us feel very comfortable and at home. The food was beautifully presented, delicious and totally satisfying. The total experience was wonderful! It was a memorable experience! 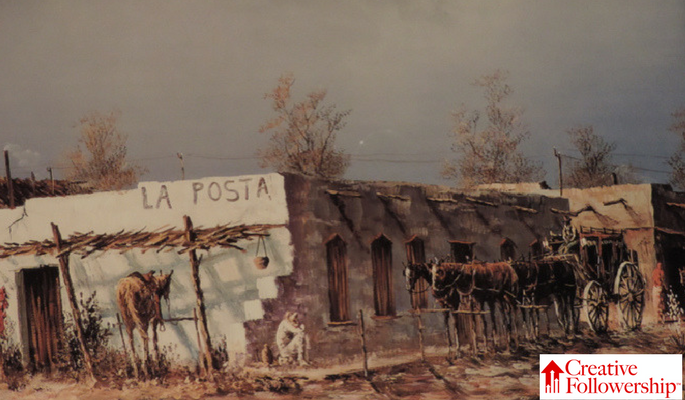 All of the way across the Southwest to southern California and back to the Painted Desert and Petrified Forest, we constantly compared every dining experience with the one at La Posta. We wanted to repeat that memorable experience at La Posta. To do that we detoured south, added over three hundred miles to our predetermined route home, and set out for Las Cruces. We checked in the RV park late on Sunday afternoon looking forward to lunch the next day at La Posta. When we arrived at La Posta for lunch, the parking lot was empty. Puzzled, I went to the entrance and saw a sign that read, Closed Mondays. We could not stay another day. We had an arrive-home deadline that had to be met. Early the next morning we left for home without eating again at La Posta. Unfortunately, I am a slow learner. I had spent over 50 years in the restaurant industry. I knew that Monday was the most popular day for independent restaurants to be closed to give the employees a day of rest. I had violated one of the Principles of Creative Followership. Never Assume What You Can Verify! I could have easily verified whether or not La Posta would be open on Monday, but I didn’t. How many times have you assumed what you could have easily verified? Carelessly assuming what I could have verified cost us a delightful meal and three hundred extra miles of travel that time, but think of the disastrous results that might have occurred on another occasion. If I don’t discipline myself on the non-serious issues, how will I ever be successful in disciplining myself on the really serious ones? I must not be casual and neglectful about it. I must … never assume what I can verity!